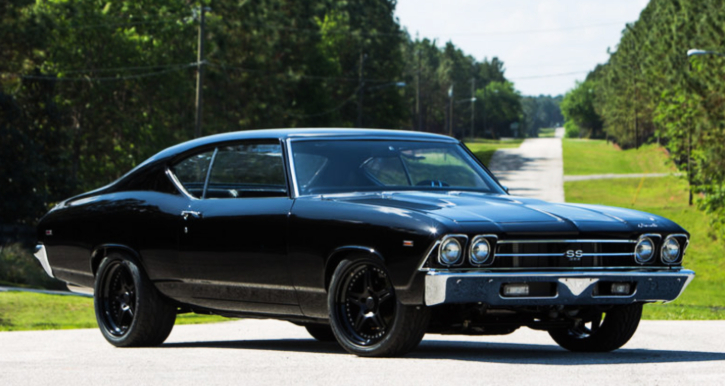 If you’re not a Chevy purist, but a classic muscle car enthusiast who is into high performance sinister looking restomods this all black 1969 Chevrolet Chevelle will definitely get your attention even standing still. 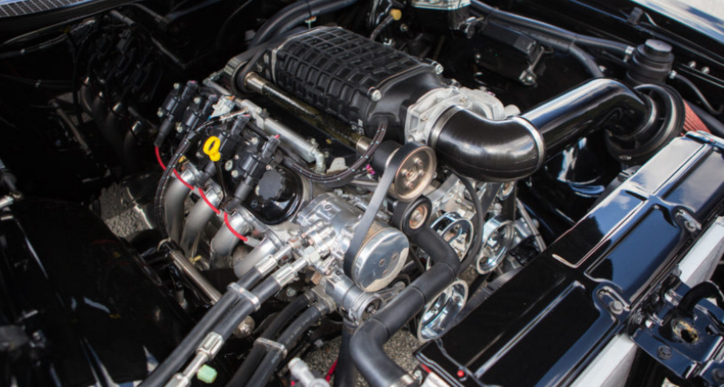 Stripped down to bare metal this 1969 Chevy Chevelle A-body has undergone a rotisserie restoration and then sprayed with 5 coats of Black paint, 4 coats of clear to get this killer finish. 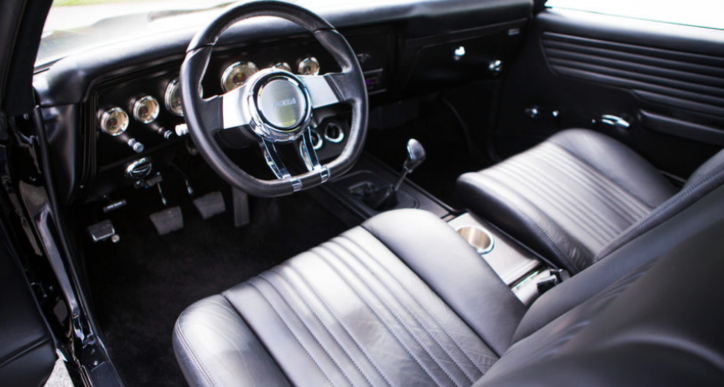 Of course, the interior of the all Black Chevy Chevelle has also been touched. 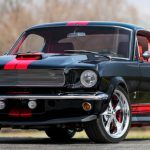 The factory style is retained and enhanced with custom seats, console and door panels as well as billet controls, aftermarket steering wheel and new set of gauges. 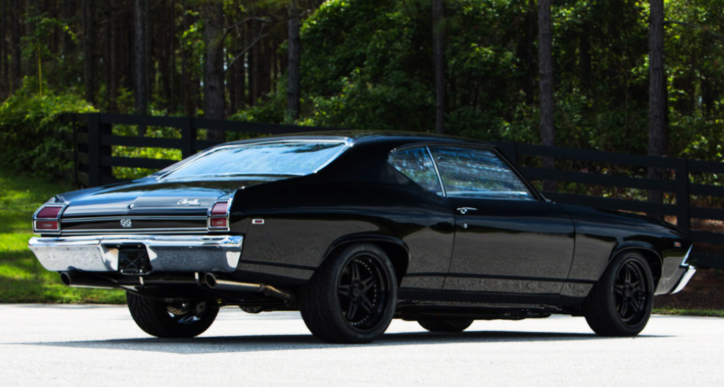 When it comes to power this custom 1969 Chevelle doesn’t disappoint either. 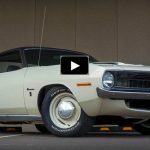 The muscle car packs a supercharged Mass Motorsports built 427 LS motor producing 850 horsepower sent through 5-speed Tremec transmission.